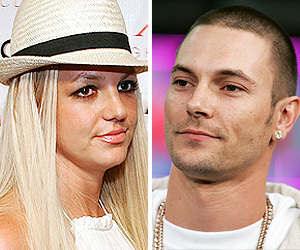 Lawyers for both Britney Spears and Kevin Federline are facing off in a downtown L.A. courtroom right now. K-Fed's attorney Mark Vincent Kaplan has asked the judge to prevent Britney from personally driving with the kids. The request comes after Britney, 25, was spotted running a red light with Sean Preston and Jayden James in the car. She has also been seen texting while driving and is under fire for running over a paparazzo. The hearing will be closed.